Cycling has always been a slightly under dog sport at least here in the UK. On the mainland of Europe and in other countries around the world it is held in quite high regard, in fact the most famous Cycling event is no doubt the Tour De France with other major events being dotted around the countries of Europe. In countries such as France, Italy and others Cycling is rather widely followed and with the Olympics in London and Bradley Wiggins winning the 2012 Tour De France the interest in Cycling in the UK which was previously reserved to a select few elite riders has now exploded in to the public arena. Since the explosion of those events the interest in Cycling in the UK and also worldwide has grown considerably and is evident from the amount of hobby riders that can be seen on the roads around the UK and elsewhere. 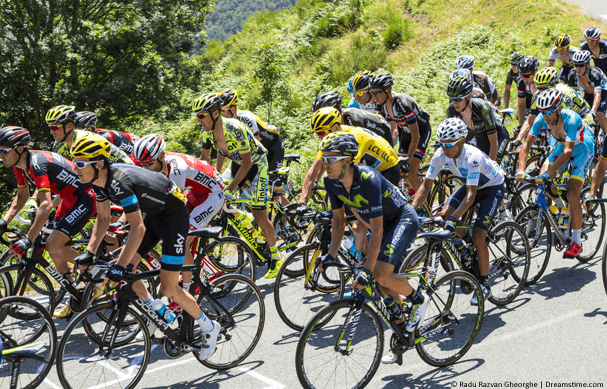 With such expansion worldwide the sport has moved generally from free to view TV channels to paid for cable or premium subscription type TV services which means following the tours, classics and other events has become an expensive affair. Especially in the UK the ability to watch cycling free on TV has diminished rather rapidly. For those of you who are interested in watching either live or recorded cycling online from any country in the world there are a few options, firstly you can subscribe to an expensive pay per view or subscription channel but I’m guessing that by searching out this article it isn’t the route you wanted to go down. Luckily there are countries which although Cycling is popular it either isn’t popular enough to be aired on subscription TV services or there aren’t physically enough people to make it a worth while venture to show it on paid for TV services. What this means is there are various websites around the world that show live premium cycling without a subscription charge. One such website is the Australian SBS Cycling Central which is showing most major cycling events this year. The problem is that the SBS website will not let you watch the live events if you’re not in Australia and for those who don’t know, I’m in the UK. So the way to give the impression to the website that I am in Australia is to use what is known as a VPN or Virtual Private Network. This allows you to route your internet connection through another companies server in a country of your choice, for this purpose, an Australian server. VPN services are offered by a wide range of providers and for this purpose I used IPVanish who can be found listed at the top of our comparison table at the home page, not only because they offer a wealth of servers located in different countries which allows me to pick up other cycling live events on sites such as the Swiss RAI 3 but also because they’re one of the best providers for speed reasons and when your connection is going all the way from the UK to Australia you need a reliable provider with good infrastructure to avoid stuttering and buffering. It doesn’t matter which country you live in, the process will work worldwide. The SBS Cycling Central website is rather good as they show the majority of major events plus some of the smaller ones. A selection of up and coming live cycling events are shown and you’re able to watch Paris – Roubaix, Amstel Gold Race and Liege – Bastogne – Liege all which are available by firstly connecting to a VPN server in Australia and then visiting the SBS website. They also have the major events streamed live such as the Tour De France and Giro d’Italia (Tour of Italy) plus a whole host of others lined up for this year and in the coming years. VPN providers vary in cost but taking IPVanish as an example costs around US$6 (approx £4) per month if taking a full year service and a little more should you choose to pay monthly, which is peanuts considering the amount of cycling you can see live. Sign up to a VPN service such as IPVanish or ExpressVPN. Connect to an Australian server using their supplied software. Visit the SBS Cycling Central website. If you’re a little unsure of the process then you can get a free trial from VyprVPN to test the water and see it working before you commit to any payment, its a great way to try the service and see how easy it is to get working. There are no expensive premium TV subscriptions to pay for and you can watch on any device that you can use a web browser on.